Acca betting preview, tips and enhanced odds for Manchester United, Arsenal and Watford all to win in week 26 of the Premier League. Another round of Premier League action is here and we have another enhanced acca to bring you featuring Manchester United, Arsenal and Watford all to win. 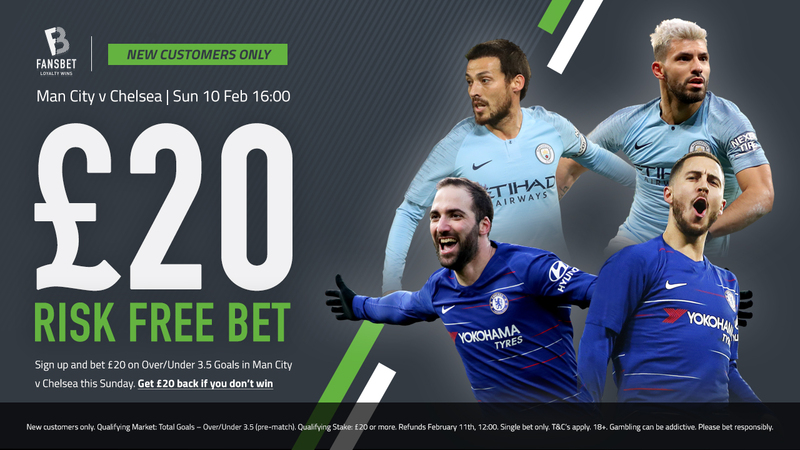 Form Labs return with their betting preview and tips for the three featured games and don’t forget to head over to our selection of enhanced odds for week 26 of the Premier League. Manchester United, Arsenal And Watford All To Win Was 5.75 Now 6.25. Max Bet £25! United got back to winning ways at Leicester, leaving them with nine victories from 10 unbeaten outings across all competitions under Ole Gunnar Solskjaer. They may have only netted once versus the Foxes, but aside from another 1-0 success over Spurs during this period, each of their other outings saw them put at least two past their opponents. That should pose significant problems for Fulham, who hold by far the divisions’ worst defence having shipped a massive 55 goals in just 25 games, especially when taking their recent form into consideration. Claudio Ranieri has led his charges on a run of five losses from six matches in all competitions, with the sole exception hosting a poor-travelling Brighton side, while they conceded at least twice in each of these games as they even succumbed at home to Oldham Athletic in the FA Cup. In fact, all but one of their 18 defeats this season have seen them concede at least twice, as only the ridiculously low-scoring Huddersfield could down them by the solitary strike. They haven’t been helped by the absence of summer signing and centre-back Alfie Mawson, who has missed each of those recent six games with a knee injury, though we wouldn’t have given them much of a chance even if he was patched up anyway. United’s form has seen them leapfrog Arsenal in the table, though Unai Emery’s men should be handed a temporary reprieve as the Terriers offer little in the way of resistance. The Gunners may have only managed two shots on target in their defeat to City, but they’ve netted 22 times in eight encounters with bottom-six outfits this term as they won seven of these. Frankly, just the one strike should suffice to take maximum points given their opponents’ lack of confidence as their prospects of survival get slimmer with every passing week. Jan Siewert has an impossible job on his hands to lift the Terriers after Chelsea cut them apart with ease to inflict a 5-0 battering, which leaves them with 12 defeats from 13 winless matches across all competitions. Their sole point over this spell came in a goalless stalemate with Cardiff, while a record of just one goal from their last seven fixtures is dismal even by their low standards in the final third. They’re a pitiful W1-D2-L17 against ‘Big Six’ sides since their promotion, including defeats in each of their last eight on home turf, and so the myriad selection problems facing the Gunners at the back are practically irrelevant on this occasion. Everton have lost five of their last seven on the road, including a 3-2 defeat against Championship strugglers Millwall, while their two successes over this period came over a relegation-threatened Burnley and a Huddersfield side that are down and out for the count. Javi Gracia’s team have been far more competitive, only suffering two defeats in 10 league outings since early December as they went down 2-1 against both Chelsea and Spurs. They were unfortunate not to beat Marco Silva’s team when they met during this recent spell as Lucas Digne rescued an undeserved point with a late free-kick, but the Toffees aren’t so strong away from Goodison Park and so Watford will more than fancy their chances. Indeed, they’ve won this fixture in each of the past two seasons, while excluding ‘Big Six’ opponents, the Hornets are W4-D2-L1 in the league at Vicarage Road this term and their visitors appear there for the taking. Watford v Everton Odds Here!